If Formula E is anything, it is motorsport for the digital generation. Explosive fuels and stinky exhausts? So last century. For this most zeitgeist-y race series, nothing other than clean power could ever do, so each car has always been powered by some of the most advanced battery technology on the planet. 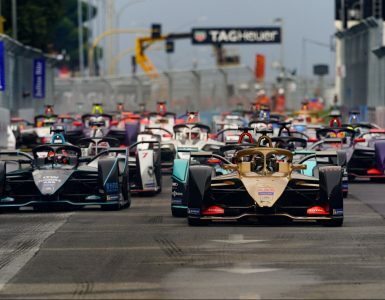 Think about what the championship stands for: ‘Formula E’ — ‘Formula Electric’ — zero-emission racing in city centers, with a mission since its conception in September 2011 that’s as much ideological as sporting. And for FE to deliver on its own ideals, it required of its key founding technical partner an ability to deliver on what seemed an almost impossible goal: a battery of sufficient capacity to permit credible racing between 20 competitors who’d previously only ever been propelled by liquid hydrocarbons shot into high-revving internal combustion engines. Few enterprises were bold enough to take up the cudgels, but the one that ultimately did was, perhaps unsurprisingly, a racing team with a reputation for bold, independently minded innovation: Williams. More precisely it was the boffin-brained spin-off of the Williams racing team, Williams Advanced Engineering, that proved able to meet the demanding technical spec required of Formula E in its first season, 2014. While the brief and timescale (six months from winning the tender to delivering more than 40 race-spec batteries) were exceptionally tough, Williams had an advantage in that they’d already developed some of their own race-spec electric technology for use in F1 and sportscars. 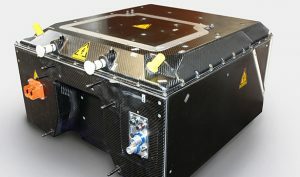 The resulting battery unit developed by Williams weighed 200kg, as per the championship technical regulations, with an output of 28kw/h – also mandated. It relied on lithium-ion cells – similar technology to that used in mobile phones – and was built to withstand the rigors of racing, so had to be tough enough to withstand being freighted, bashed around on a street circuit, and fire-resistant. 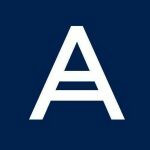 Formula E battery – Williams Advanced Engineering. © Williams F1. 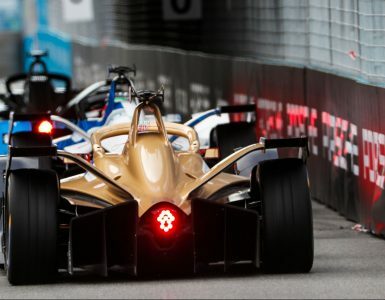 To that end, the battery’s safety cell forms part of the chassis of a Formula E car, so it had to be crash-tested along with the rest of the structure before the series was launched. It’s surrounded by a Faraday cage (to prevent anyone who touched the car being electrocuted) and encased in a thermal jacket. It was also designed to cool efficiently across its multiple interlinked cells. Management of battery temperature is one of the keys to their efficient performance: either too hot or too cold and their output suffers. This tried-and-tested Williams pack has been the reliable workhorse for the series throughout its first four seasons, during which time Formula E has established itself as the go-to racing arena for car manufacturers needing to prove the road-relevance of their technologies while flaunting their CSR credentials. But as FE pivots towards season 5 (2018-19) – likely to begin in Saudi Arabia this December – and the introduction of its dramatic ‘Gen2’ car, even greater demands have been made of its battery partner. 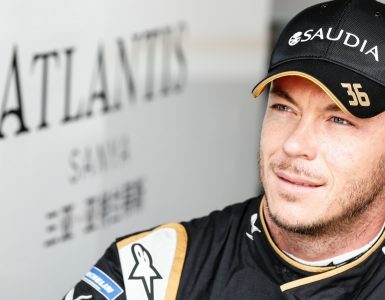 Chief among these is that the energy store provides sufficient capacity to last a full race distance without the need for a mid-race car swap that has become an unwitting hallmark of the championship. Answering the call is an all-new pack developed by McLaren Applied Technologies and their partner ATIEVA, an American electric vehicle company. Weighing 385 kg, it is both larger and heavier than the current energy store and remains positioned behind the driver. Its peak output of 900 volts is an increase of 200 volts over existing technology and it will permit peak qualifying power of 250kw – approximately 330bhp. Simon added that a key aspect of MAT’s successful tender was its familiarity with the particular demands of motorsport, particularly in the areas of packaging and the need for components to be robust enough to survive competition use. And that’s where the aerodynamic aspects of the Gen-2 car come to the fore. While the visual appeal of its styling exercise is extremely important for a race series trying to grow its fan base, the technical efficacy of the surface areas for battery cooling are paramount. Come December, we’re likely to see just how fast battery technology has been forced to develop thanks to racing application. Top image: Formula-E Gen2 car. © Sam Bloxham/LAT/Formula E.